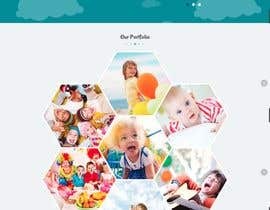 I have a Shopify store that sells children partyware. I need it redesigned. 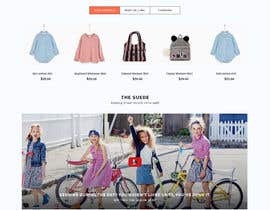 I need this done by taking an existing Shopify theme (You decide which one) and tweaking it so it looks like http://www.kids-world.dk. I will pay for the theme used, besides the prize money. 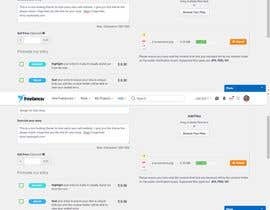 Important: In your application you have to tell which Shopify theme you will use for this, and where to get it (Shopify, Theme forrest etc). 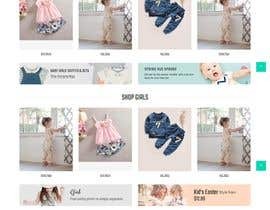 You also need to have experience with building designs for Shopify. check my entry #20 with URL, thanks . You misread: 1. Easy on the eyes. The pastel colors and background eliminates a lot of the white, which makes the website more pleasant to look at. - this means i DONT want a lot of white. the way the other use pastel colors makes it easier to look at. 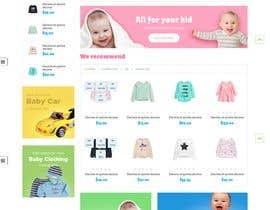 Wheres the demo-babystore sold? I understand it, you need pastel colors ( "soothing", "soft", "near neutral", "milky", "washed out") user can easily on the eye, Yes I understand u don't need lots of white color. 1. Easy on the eyes. The pastel colors and background eliminates a lot of the white, which makes the website more pleasant to look at. 2. The menu style. We have a lot of product (over 1000 SKUs) and besides we have some packages that we want to feature in the nav bar, so its important to us that we can make image links from the nav bar also. 3. 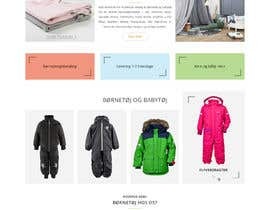 The product page (eg: http://www.kids-world.dk/didriksons-vinterjakke-storlien-groen-p-90632.html) it looks great, uses tabs and have a fantastic feel over it. You can see our current site here: www.abefest.net which im not satisfied with. The most important thing for me is that it is easy on the eyes, and pleasant to see, have great navigation for many SKUs and converts well. 2) As you mention you have lots of products that means many categories and menu need to show on top with categories images, yes we can show lots of menu on top and yes also categories with images, so user can easily get idea. 3) Yes we will create product page as per your requirement with extra functionality so user can purchase more products from your website. 4) we will make theme SEO Friendly so, u will be get more traffic in your store. 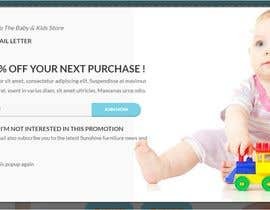 hi, you need it done exactly like http://www.kids-world.dk ? No, not exactly a replica. 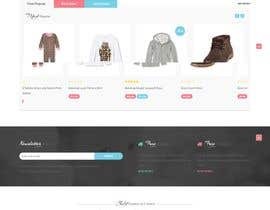 I am in the process of designing a user psychology based awesome clean design for your webstore. Kindly wait for my submission. 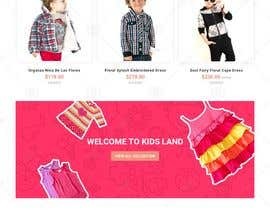 Hi there, I have developed something similar store under shopify www.trendykidscode.com please check, Your given website are not mobile Responsive and also not User Friendly, I will create Latest design with ongoing support, Mobile Responsive, SEO Supported, Mobile Responsive. the given website IS mobile responsive, you just have to call it from an actual smartphone or pad. 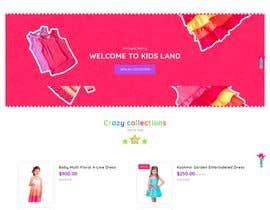 I do not agree that trendykidscode.com is similar. The website I have given, has much more finesse, a mix of great colors, backgrounds and outlines. Also you need to check out category pages, and product pages.